With its eclectic architecture, world-famous culinary products and 2,100 hours of sun yearly, Szeged is one of the most beautiful cities of Hungary. From the baroque-style though to the romantic and modern, the town’s hotels also have something to shout about. Read our guide to the best places to stay. Tiszavirág Hotel is located in the Balassa-house, a spot built during the 1860s in a romantic design with decorations influenced by other styles, like balustrades straight out of the Renaissance. It used to be a commercial-civil house, and later on, during communism, became state-owned. Today it is a hotel that holds on to both its architectural and gastronomical traditions. Positioned in the very center of the Szeged, it has 12 rooms of different sizes and styling, which boosts the feeling of staying in a home-like environment. The inner court has a show-kitchen, while on the lower ground of the hotel guests can relax in the spa with a sea-climate room, a tepidarium, steam room and traditional sauna. Opposite the beautiful Cathedral Square, the modern Art Hotel provides its visitors with great service and amazing views over the city. 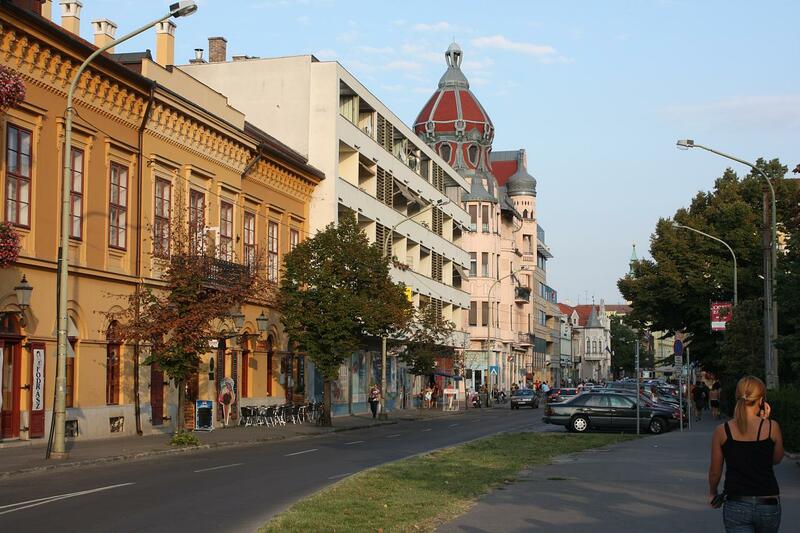 Rooms are spacious and comfortable, most of them having a balcony and huge windows with a panoramic picture of Szeged. What’s more, the wellness center of the hotel has a great choice of treatments for body and soul, a range of massages, a sport area, two saunas and a bubble bath which is surely only made better by those fantastic broadsides of the city cathedral. A baroque beauty with a modern twist, the Mozart Hotel that is located in the heart of Szeged, just three minutes’ walking distance from the Cathedral and the neighborhood of all the most important city sights, is a real favorite. The interior of the hotel reflects its name, with portraits of Mozart on the walls and florid though very elegant and tasteful decorations throughout. The hotel is small and cozy with a real European boutique-like atmosphere and balconies providing great views over the town. 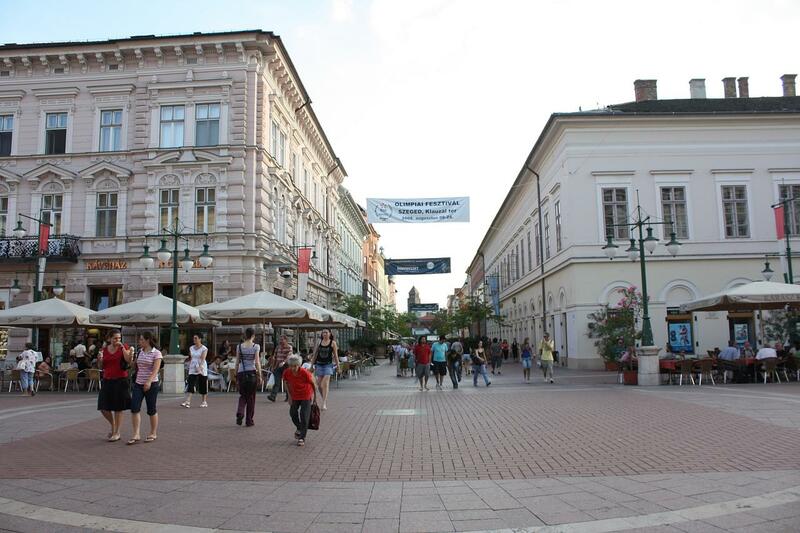 Right next to one of the biggest and most beautiful synagogues in Hungary, on one of the quieter streets of the city center is the Szent János Hotel. The building has a historical significance, as the Pick family – pioneers in global salami production no less – used to live here in the 19th century. The renovated building still bears the allure of an original eclectic style and has now a cozy summer terrace for sunny days and a fireplace that will warm up any chilly evenings. What’s more, the hotel’s restaurant, Taj Mahal, specializes in original Indian cuisine, with everything from onion bhajis to chilli-packed curry. For a fine start to the day there is surely nothing better than a tasty breakfast and a cup of coffee on the terrace of this hotel, complete with its amazing views over the waters of the Tisza River. Novotel Hotel is located on the banks of the waters and just a short walk from Anna Spa and the Pick Salami and Szeged Paprika Museum. There are many services and attractions to make a stay here even more pleasant, such as bowling, a sauna and bike rental options.